Both of our storage facilities offer clean, quality options with a wealth of storage features to make your life easier. From our temperature controlled units with individual door alarms to our great RV and boat parking spaces, we have it all. Reserve your unit today! Bach Self Storage has two great locations to meet your storage needs. Our Twin Falls, ID facility is the perfect solution for anyone needing extra space in Twin Falls, Kimberly, Murtaugh, Jerome, ID, and the surrounding communities. If you live in the Ogden, UT metro area, you'll love renting at our North Ogden facility, which is perfect for residents and businesses of Farr West, Riverdale, Roy, and Clearfield. If you’re looking for a storage facility that you can truly depend on, you’ve come to the right place. 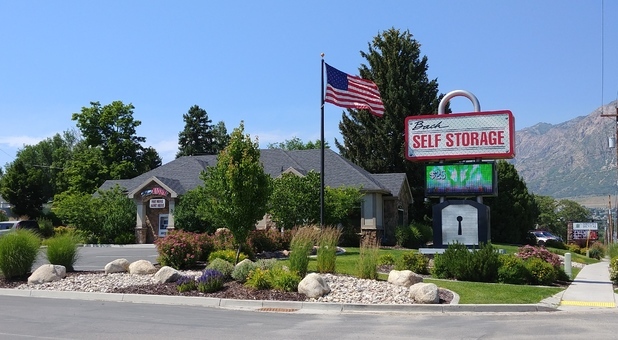 Bach Self Storage has two superior storage facilities in Idaho and Utah and offers fantastic storage features at low prices. Our storage units have a variety of options that make your experience convenient and safe, and we even offer parking options that are perfectly suited for any size boat, car, truck, or RV. We offer temperature control to keep your belongings from being adversely affected by unstable weather conditions, and many of our units feature drive-up access to make loading and unloading your belongings easier for you. To top it all off, our storage units feature their very own individual alarms to protect against theft. We’re eager for the opportunity to meet your storage needs. Contact us today to get started!